Emma Wallace : A Reason to Stay Up all Night. This album is filled to the brim with dreamy, lovealicious lyrics sung with warm female vocals and sweet, ragtime piano. The perfect accompaniment to a cozy evening, A Reason to Stay Up All Night is a delightful blend of romantic and quirky. 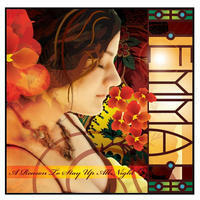 Try out Stay With Me Tonight, a classical/jazz fusion that is still Emma's bestselling track. Pair this record with a spicy Bordeaux and very dark chocolate. Sports football betting appALAC: Perfect quality Apple Lossless format files. If you use iTunes or an iPod, get these. They're an exact audio copy of the original CD, and include the CD artwork and artist info. This is the same format as High Definition audio provided by the iTunes store.